The final batch of Worldtour team jerseys. Keeping the Russian flag motif but in a more interesting style than last year’s fairly boring pure white affair. 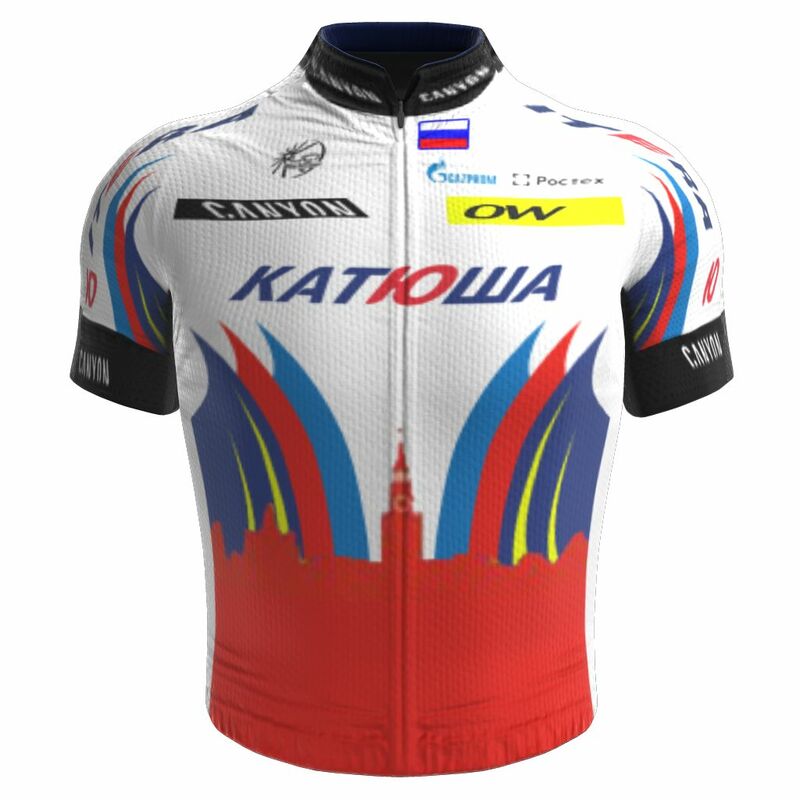 Katusha can always be spotted amongst a bunch of riders and this year won’t be any exception. New team, new team jersey. 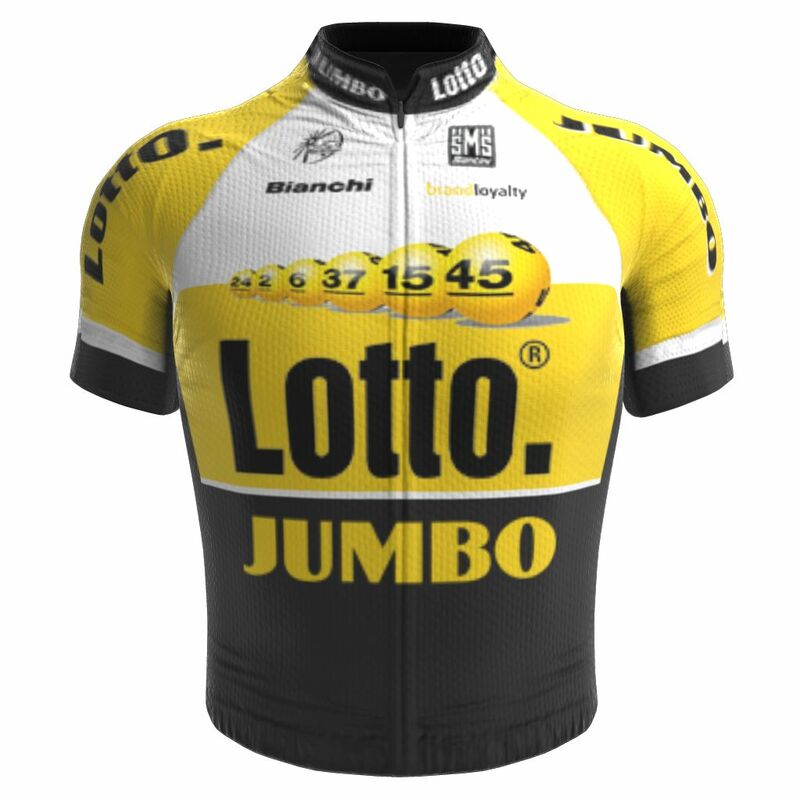 Following the recent history of Rabobank’s orange and Belkin’s green, the rebirth under LottoNL has seen them go yellow for the most part. They should be very noticeable and hopefully won’t cause too much confusion come Tour de France time. 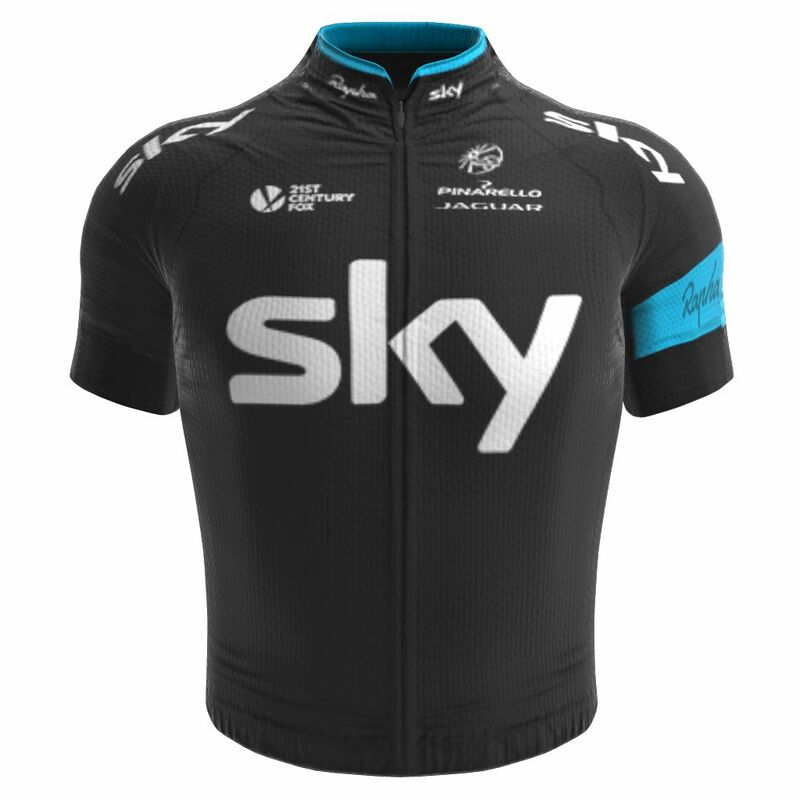 Not much of a change here again, touch more blue in the collar but really it’s same old black with a Rapha stripe. Get used to identifying most of the them from the GB national champion stripe on the sleeve. 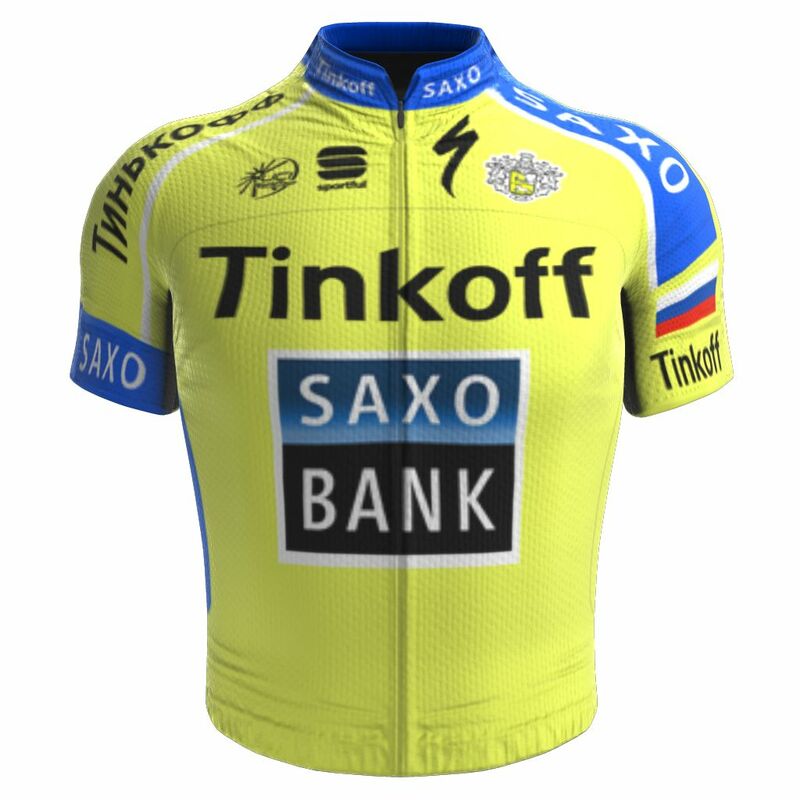 A slightly different shade of yellow this year for their team jersey and a Russian flag on the sleeve for good luck. Not one of my favourite designs. 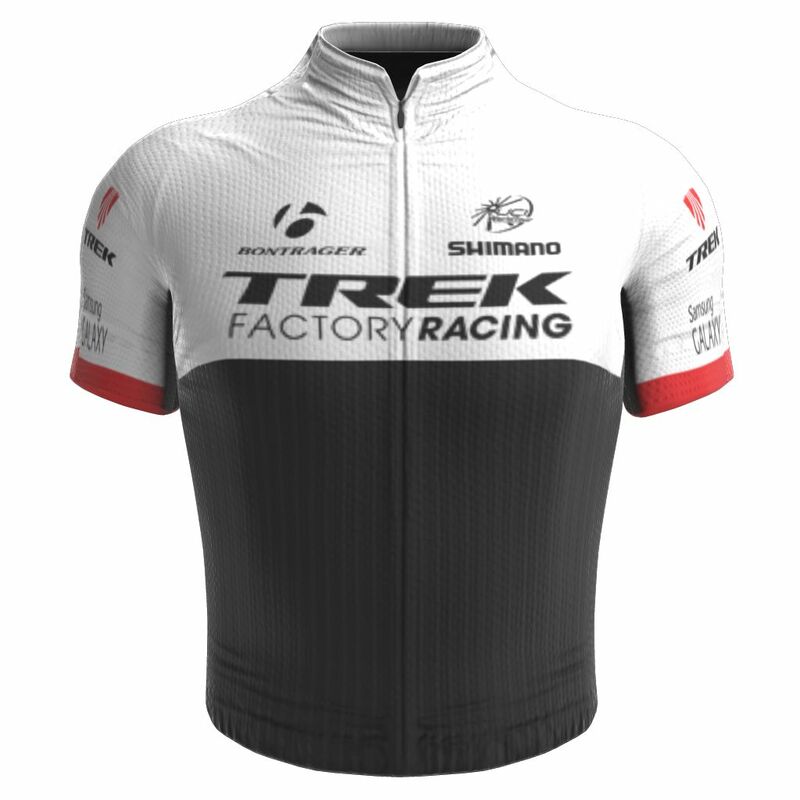 Trek have changed things up a little bit with their team jersey, going with a white top half after being mainly black. It’s a small change but it’s one that should see them easier to see, not that they have too many riders to be near the front with anyway this year.